Legend of Zelda: Breath of the Wild will receive full VR view support, letting players play through the entire game in VR. While there’s no first-person mode, the camera can be controlled by both head movement and the joystick. Unfortunately, Nintendo hasn’t fully baked in VR as well as they could have, with prerendered cutscenes still in 2D, and the framerate expected to remain locked at 30 fps. Super Mario Odyssey will receive three new minigames designed specifically for VR, set in the Cap, Seaside and Luncheon Kingdom areas. Nintendo describes the levels as “bite-sized” so expect the content to be minimal, though fun. It’s unclear but implied that the rest of the game won’t support VR. Of course, while the idea is undoubtedly cool, the added support shouldn’t be the reason you go out and buy a Labo Kit. For starters, there’s a low chance anyone could survive Breath of the Wild’s full 50 hours’ worth of content in Labo, where players have to hold the headset up to their face (there’s no strap), the framerate is half of what’s considered to be the very minimum requirement for VR and the resolution is 720 by 640 per eye. It’s great that Nintendo is doing something fun for free, but there are other much better reasons to buy a Labo kit, like the cool robot kit. 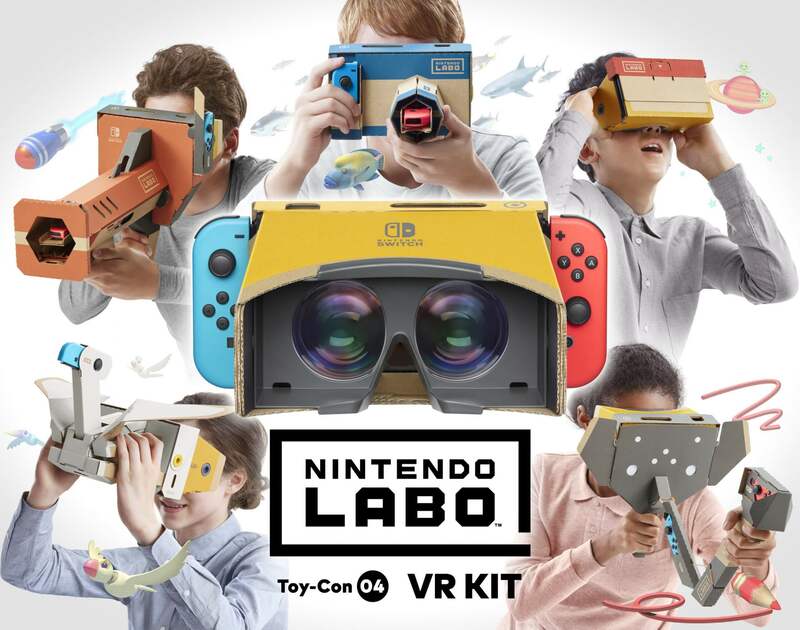 The VR updates also won’t arrive until a fortnight after Labo launches on April 12.